Baltimore college student, Brooklyn Taylor finds herself falling in love with a student who loves the streets more than anything else. Brooklyn begs Tyrell to change his lifestyle, but the more she pleads, the more distant he becomes. When Brooklyn discovers she is pregnant she is elated, but it quickly turns to devastation when she finds out her child’s father is on his way to prison. Brooklyn begins to question her love for Tyrell and her future with him. When she makes the decision to stand by him no matter what her friends and family think of him, she prays endlessly to God that he will change his ways. Brooklyn gives birth to their daughter and takes on another job to earn extra money while Tyrell is serving time. He learns about her new job and becomes insecure and abusive upon his release from prison. The last physical altercation they have lands Brooklyn in the hospital where her internalized pain turns into deep-seated resentment towards Tyrell. As she lies in the hospital bed letting her physical wounds heal, her deep emotional scars remain. All she can think of is sweet revenge. 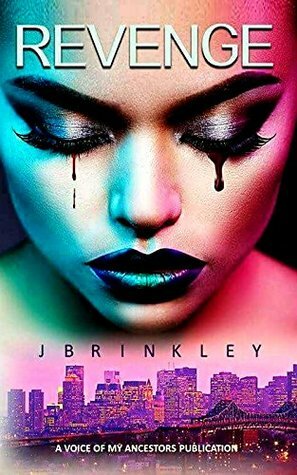 Revenge by J. Brinkley shows what happens when a someone takes advantage one too many times. Love is blind. In some cases, too blind to see what is really there. Brooklyn is a young woman who ends up loving the wrong man. He is everything evil. I completely despised the character, Tyrell. However, J. Brinkley made Tyrell one believably real jerk. I could almost see the actions happening versus just reading the words off the page. The plot was action-packed. Revenge is a visual read. It shows more than tells readers what is happening. This novel was dark for my tastes. Themes of violence, physical abuse, and other adult materials can be found here. The cast of characters were great. They made it three-dimensional. I loved how strong Brooklyn proved to be. Her strength as a lead female character made this a good read. The ending was epic. It has and still leaves me wondering what happened. Where will the story pick up next time? Overall, I would only recommend it to those who love urban fiction with enough suspense.